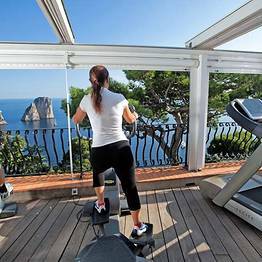 Who would have thought that just a few steps away from the celebrity-packed Piazzetta of Capri there could be such a haven of tranquility? 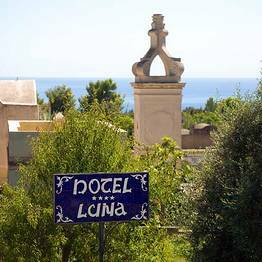 And yet Hotel Luna is just such a place. 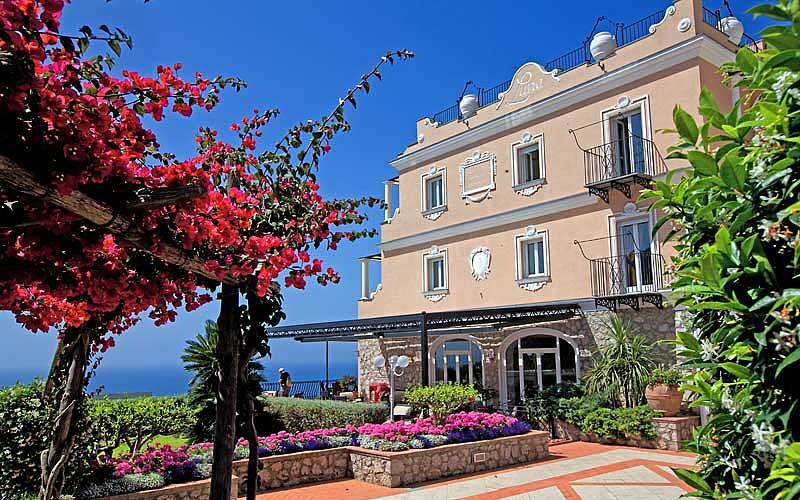 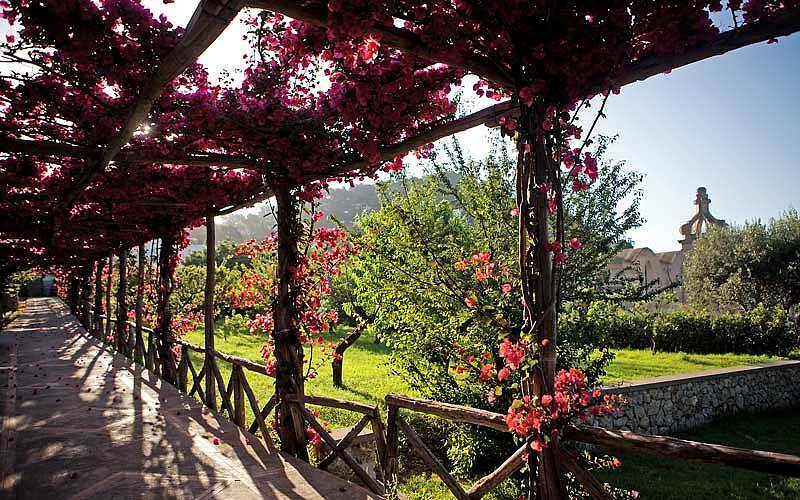 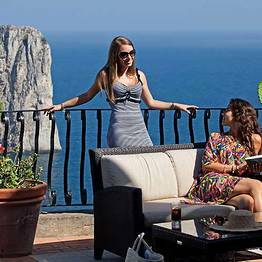 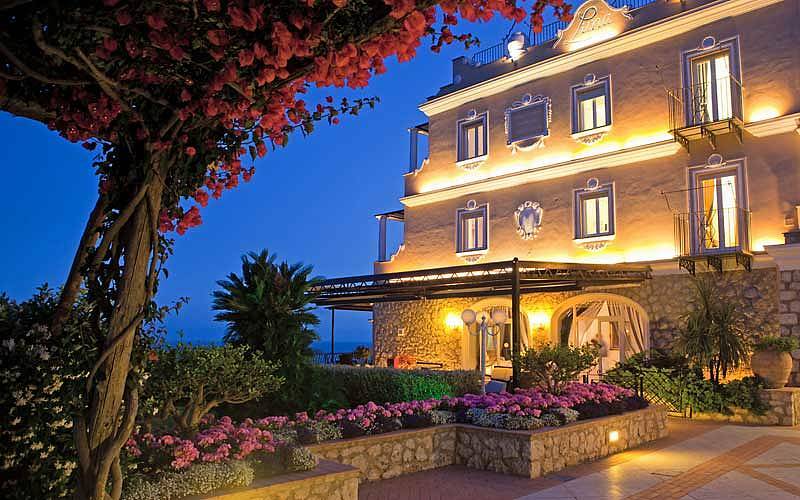 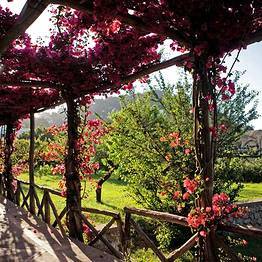 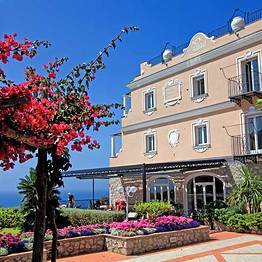 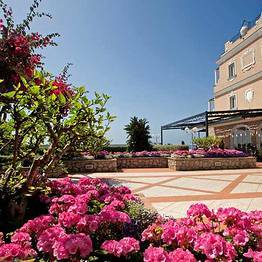 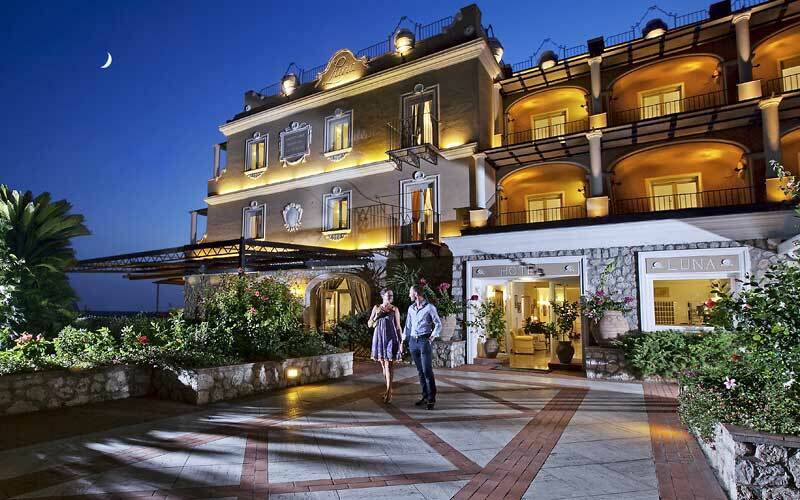 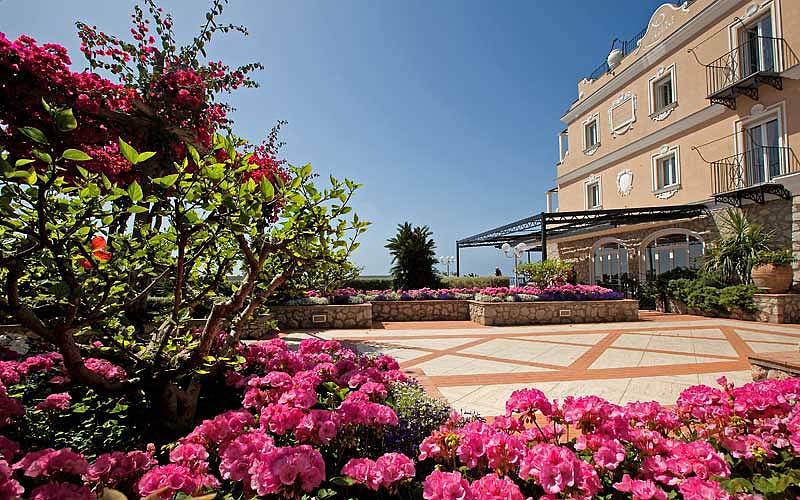 Immersed in lush subtropical gardens, on a sunny terrace almost directly above the sea and with stunning views of the Faraglioni rocks, this four star hotel offers the best in island hospitality in the most peaceful of surroundings. 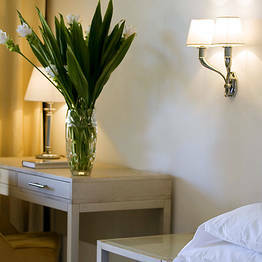 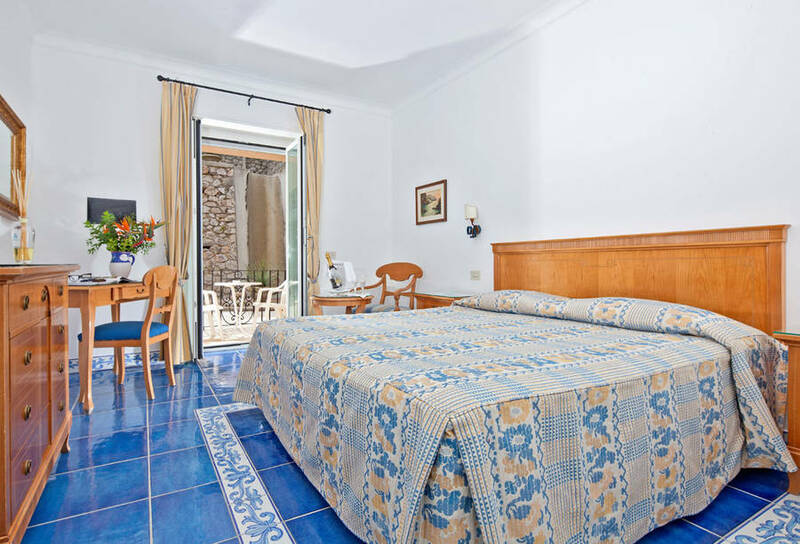 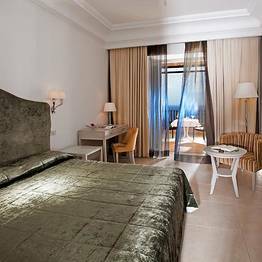 Hotel Luna's light-filled interiors are stylish, contemporary, and distinctly Mediterranean, characterized by the use of soft neutrals and delicate pastels. 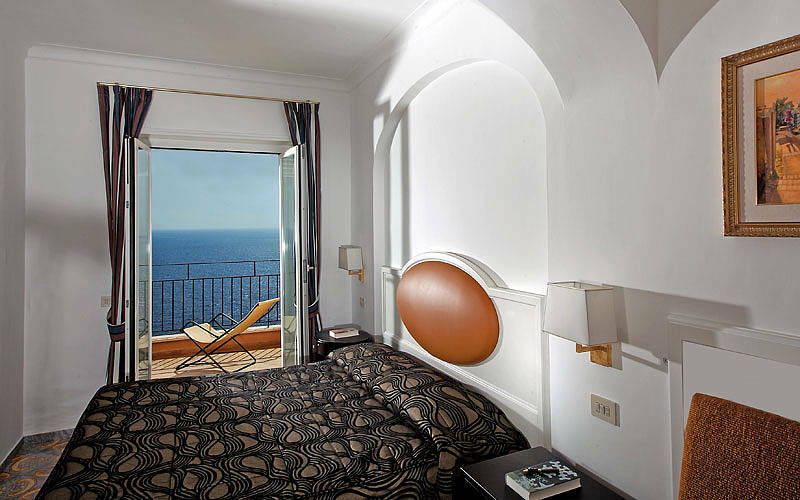 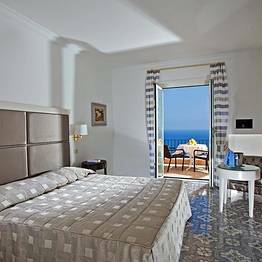 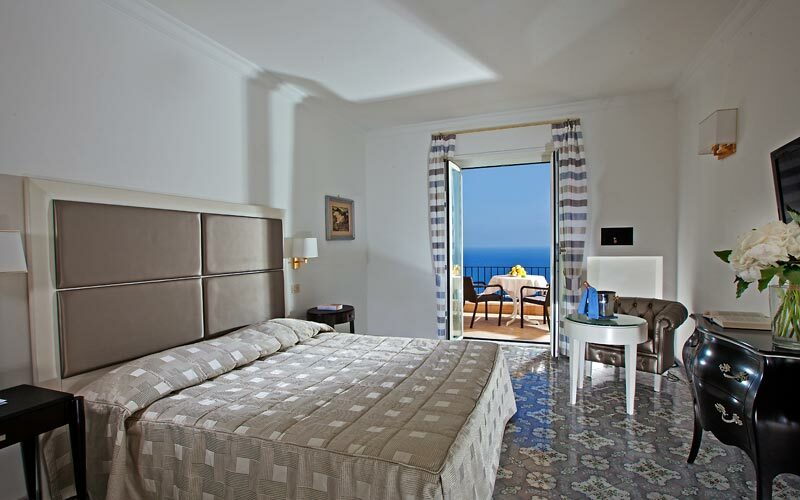 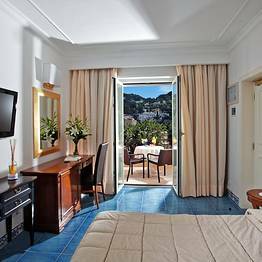 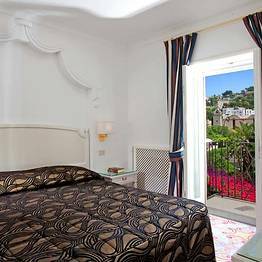 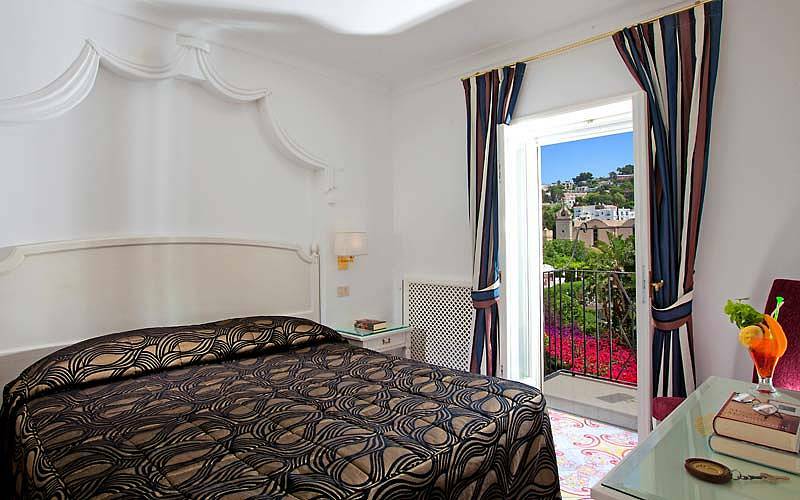 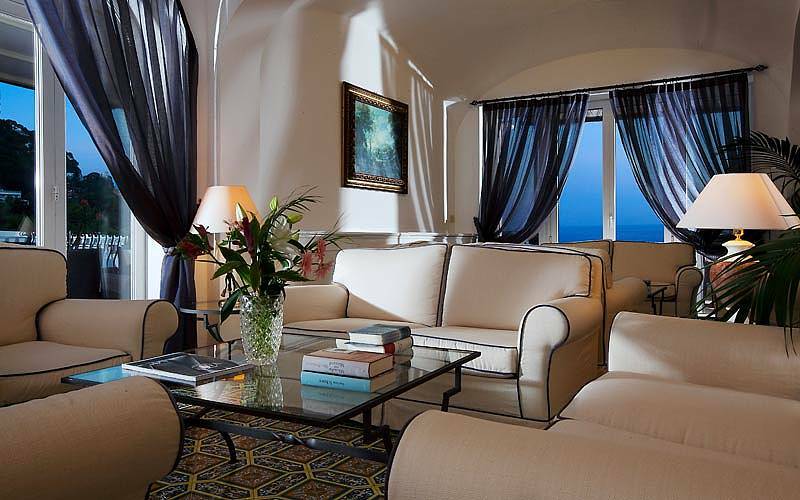 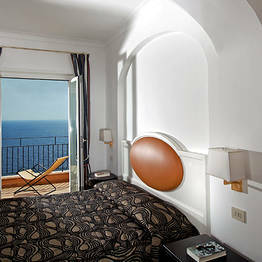 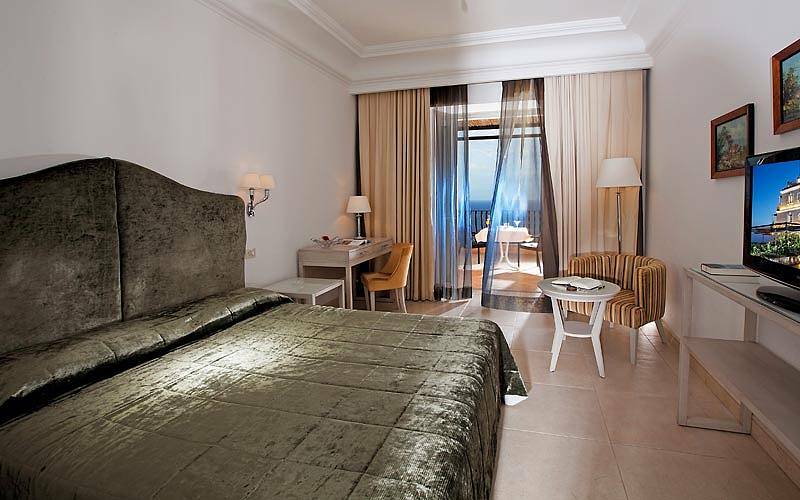 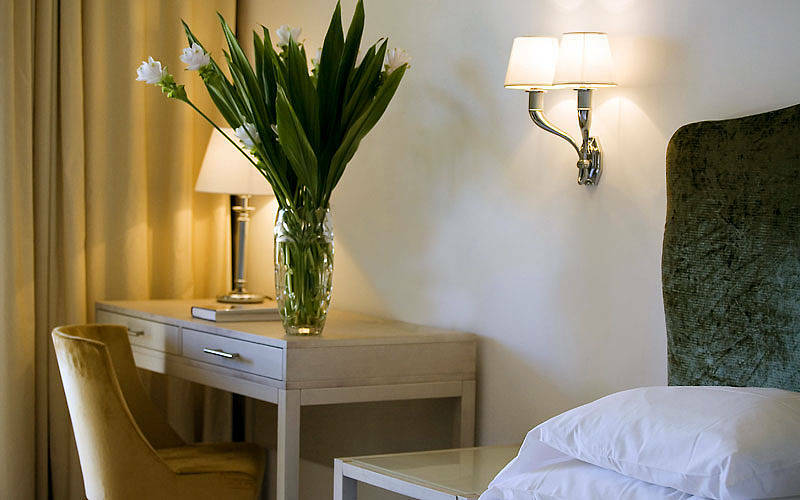 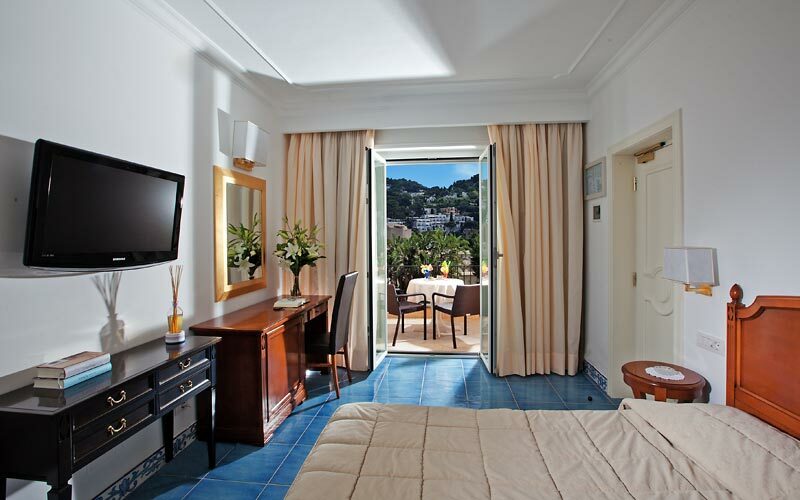 Each bedroom and suite opens out on to its own private terrace, where to relax and admire a breathtaking view of the Faraglioni rocks, the sea of Capri or the pretty internal courtyard. 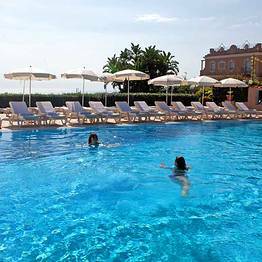 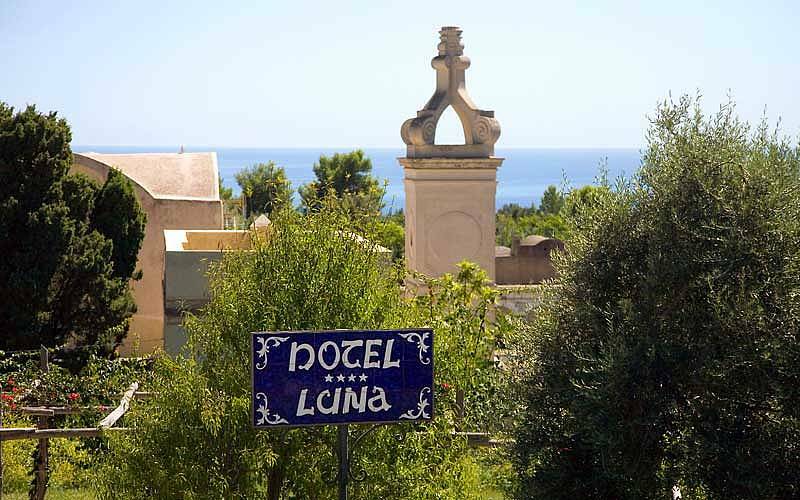 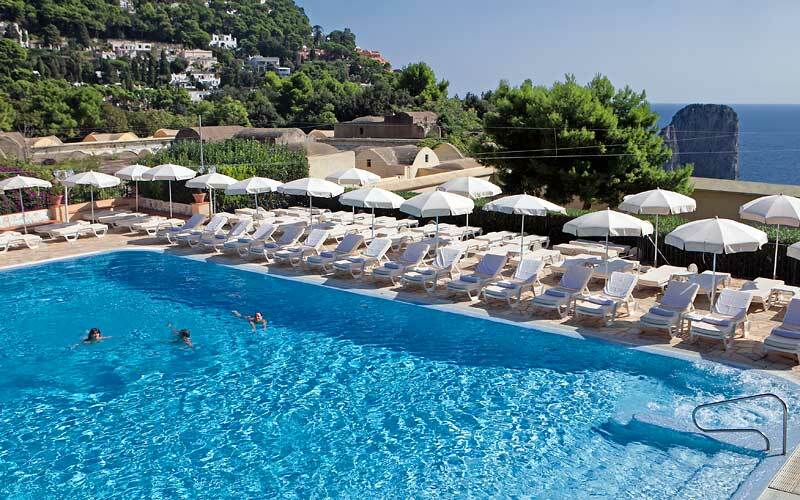 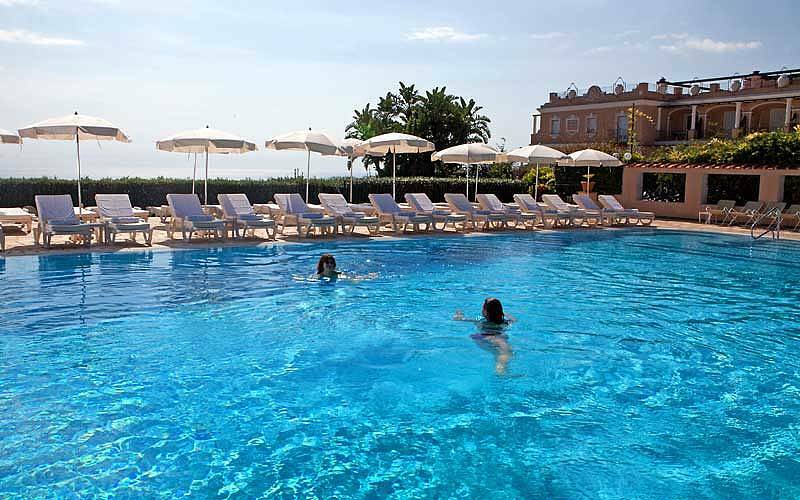 Hotel Luna's large outdoor swimming pool is a major attraction, where guests while away the hours bathing in the Mediterranean sun, enjoying a refreshing dip in the water, or simply gazing out towards the sea. 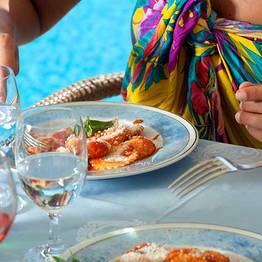 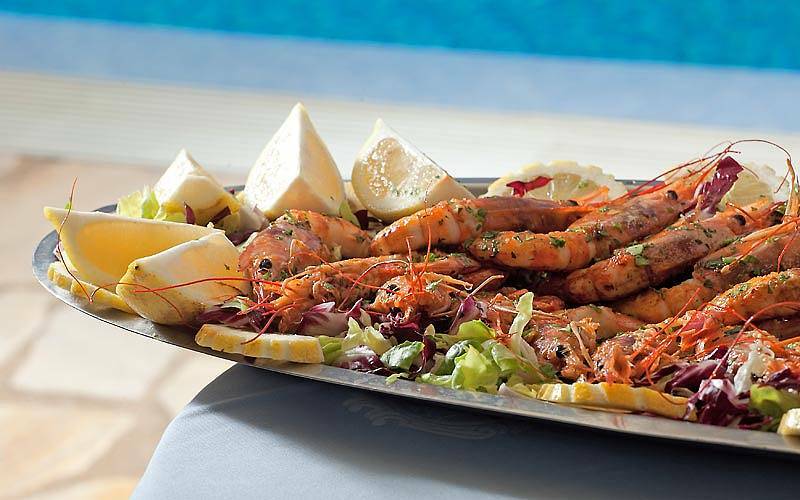 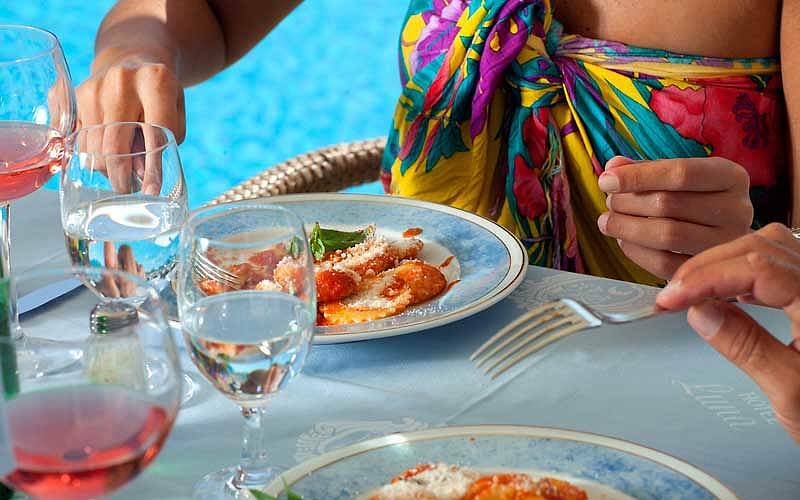 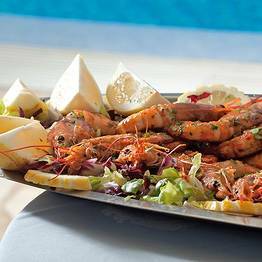 During the day, on the poolside, light lunches and a selection of tempting snacks are served. 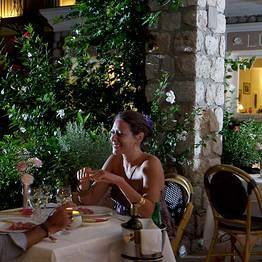 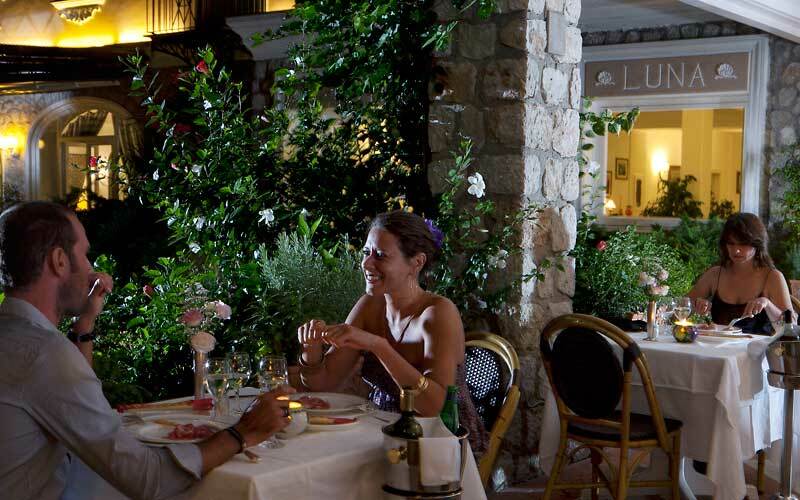 In the evening, Hotel Luna's restaurant provides the perfect setting for a romantic candle lit dinner and an occasion to savor the very finest Mediterranean cuisine accompanied by any of a superb selection of wines. 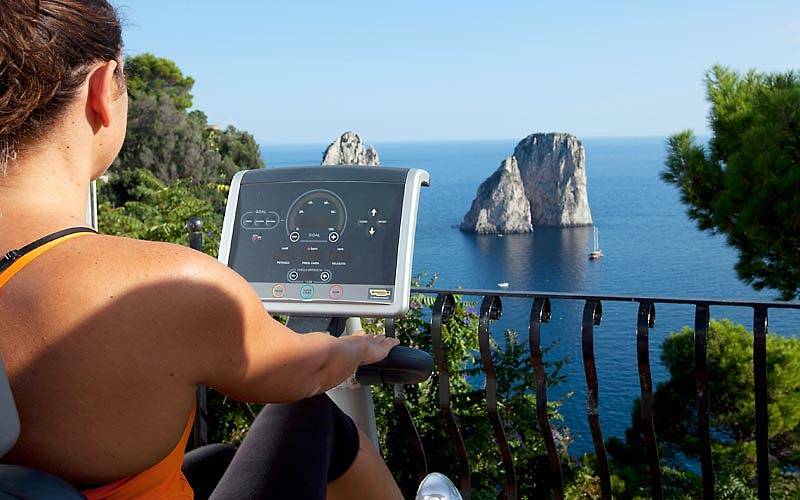 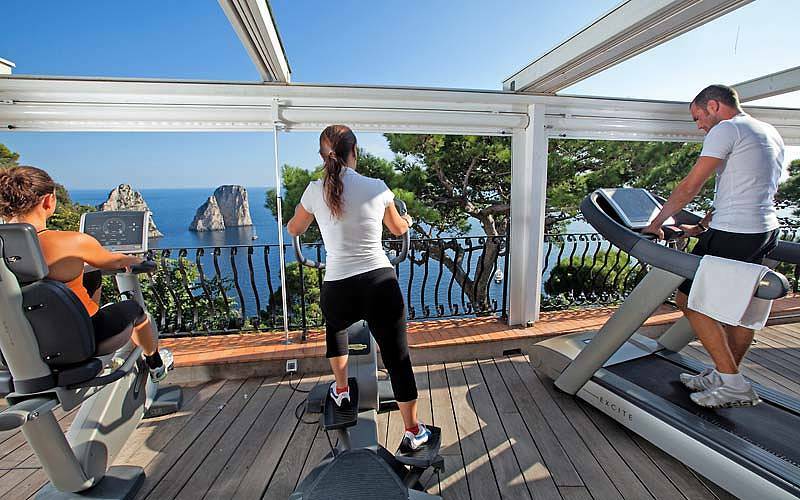 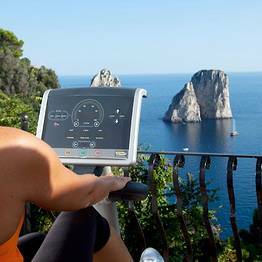 A new addition, Hotel Luna's open air gym corner, facing the Faraglioni, offers guests the chance to work out whilst contemplating one of the islands most beautiful seascapes. 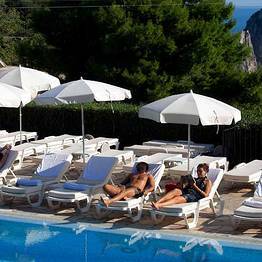 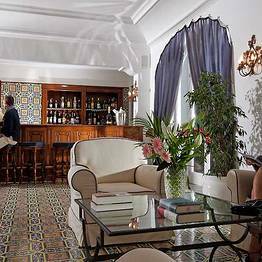 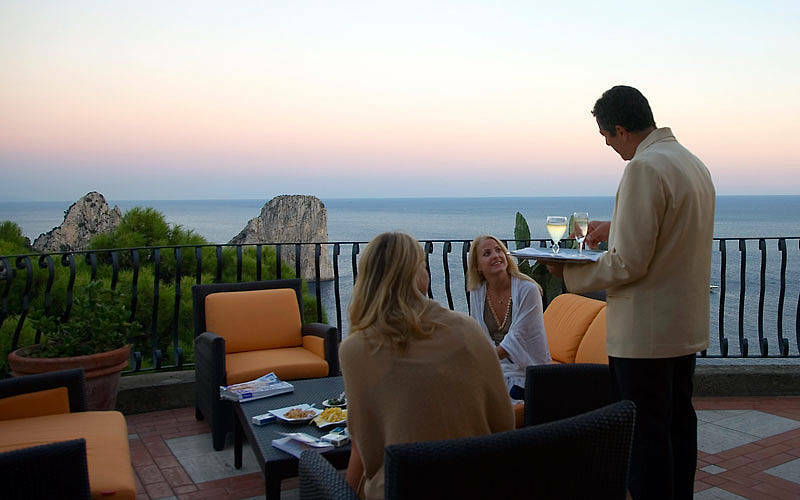 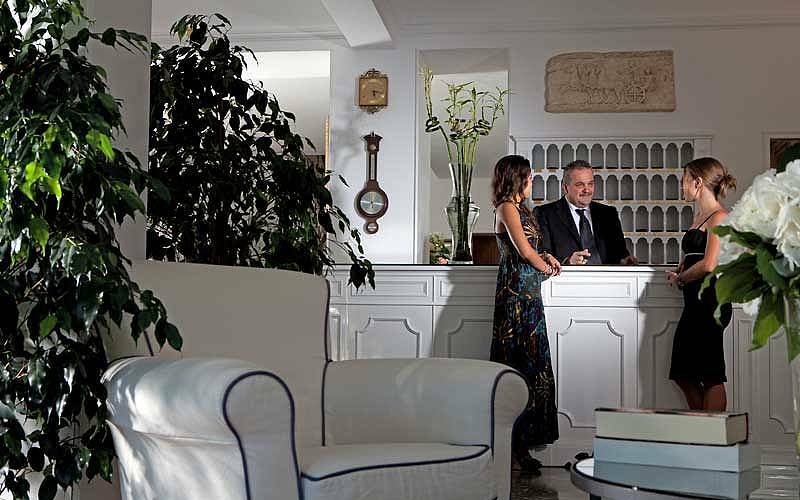 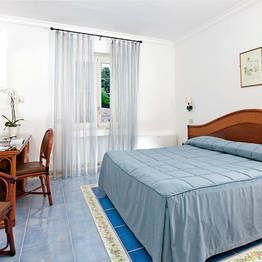 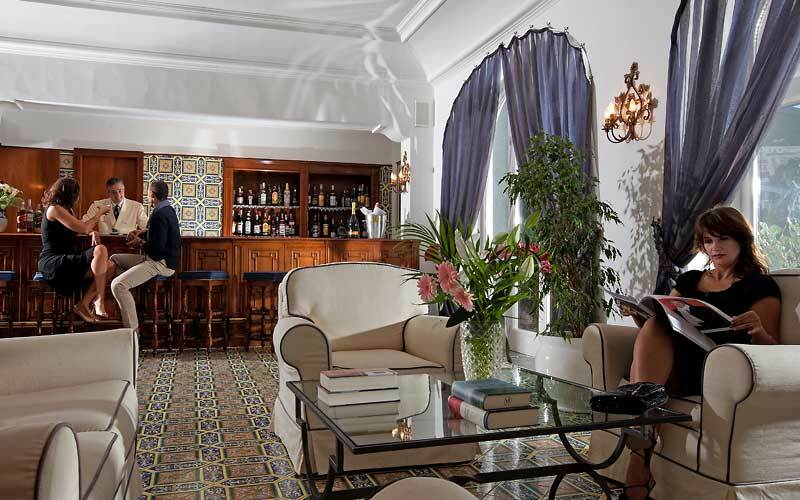 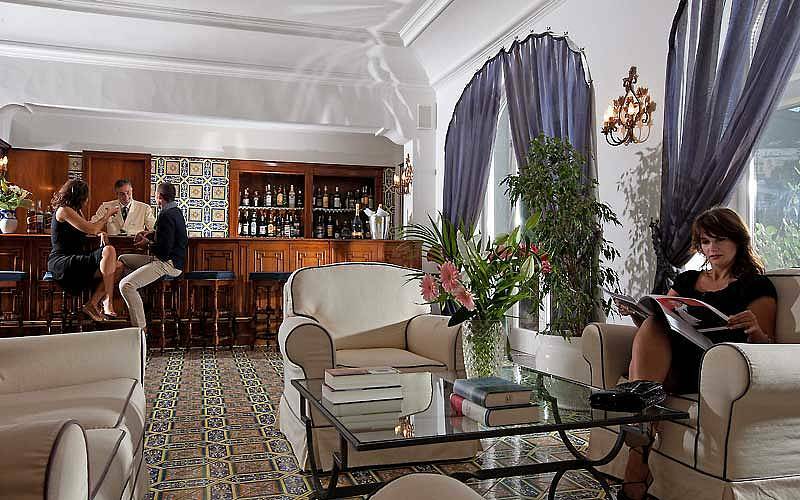 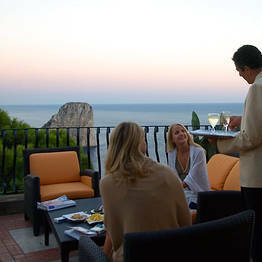 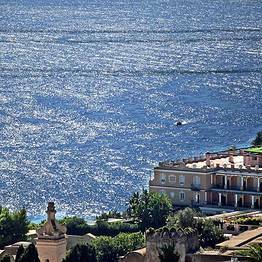 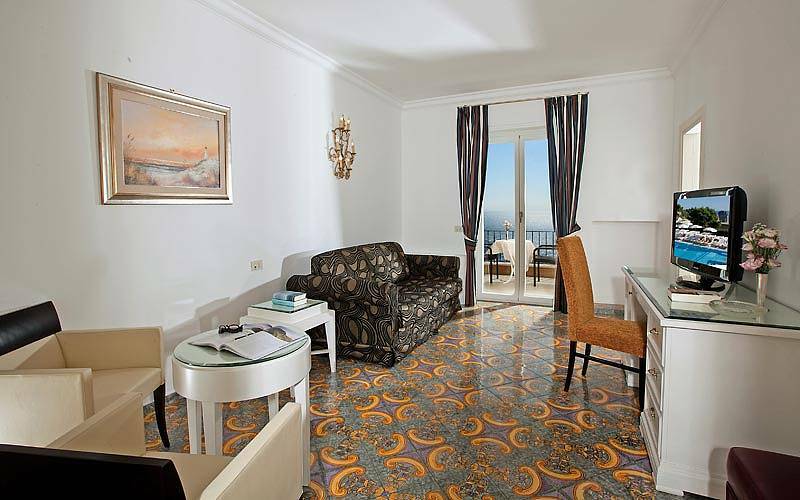 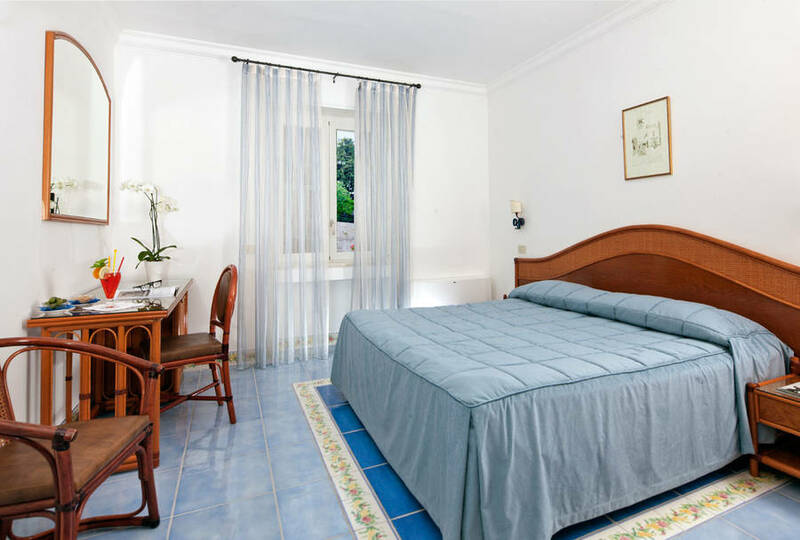 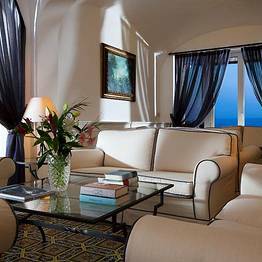 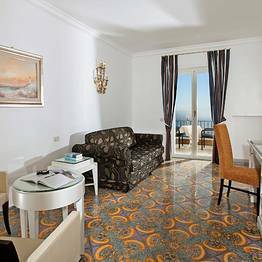 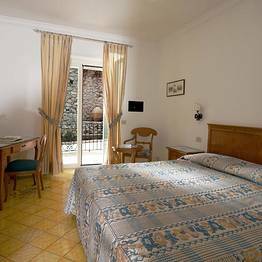 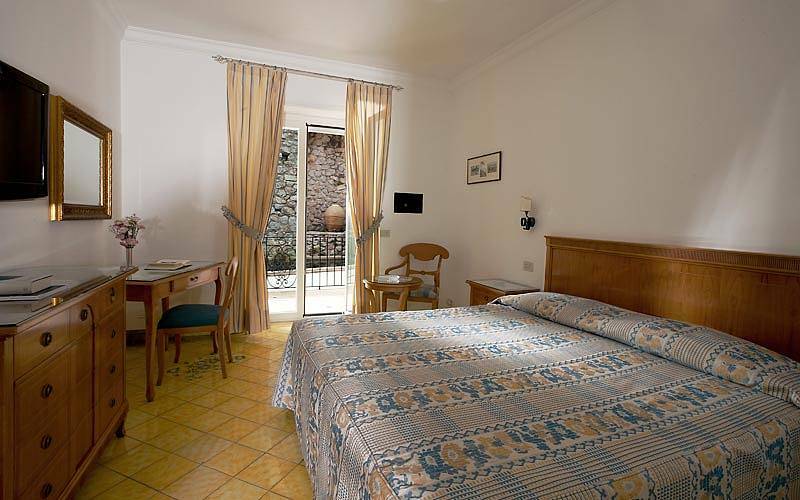 Hotel Luna enjoys a fabulous location in Capri, directly above the sea, between the Gardens of Augustus and the Charterhouse of San Giacomo. 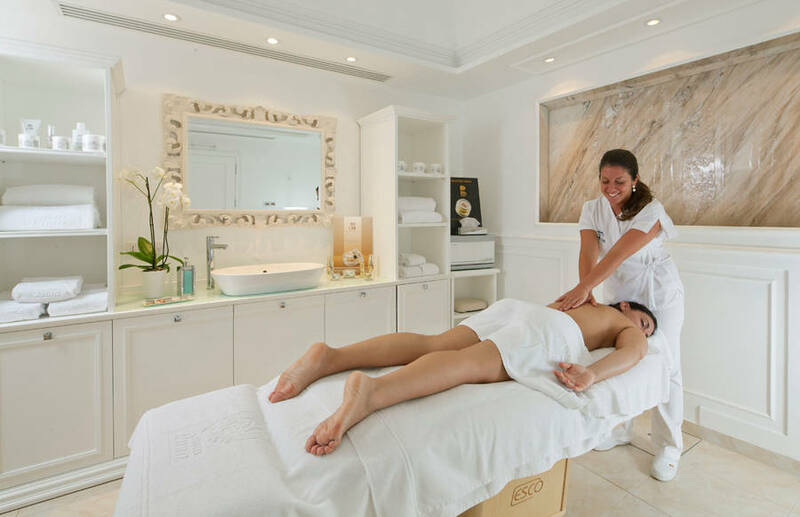 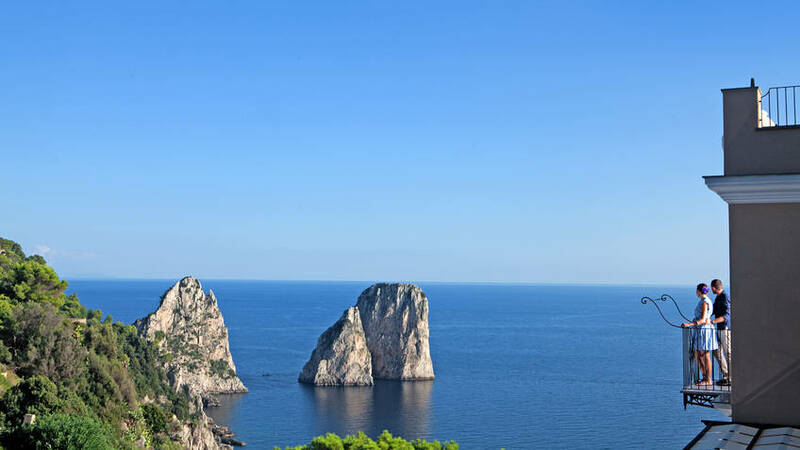 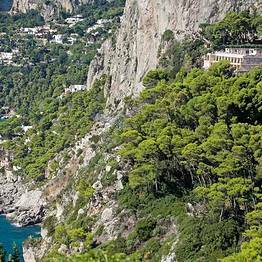 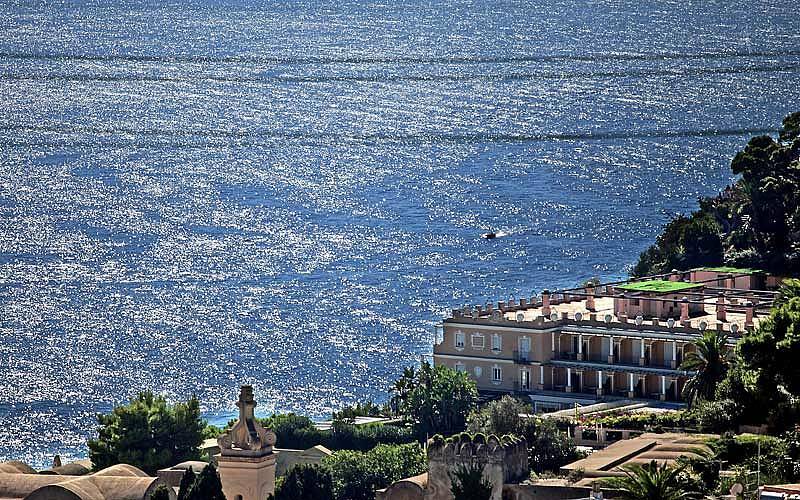 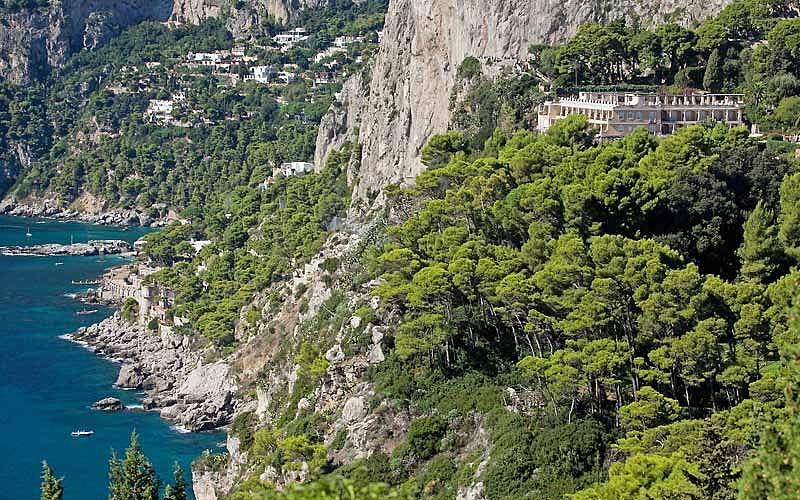 The spectacular Via Krupp, which links the center of Capri with the beach of Marina Piccola, is only steps away from the hotel, as is the town's glamorous designer shopping district and the Piazzetta, the heart of the island's social life.